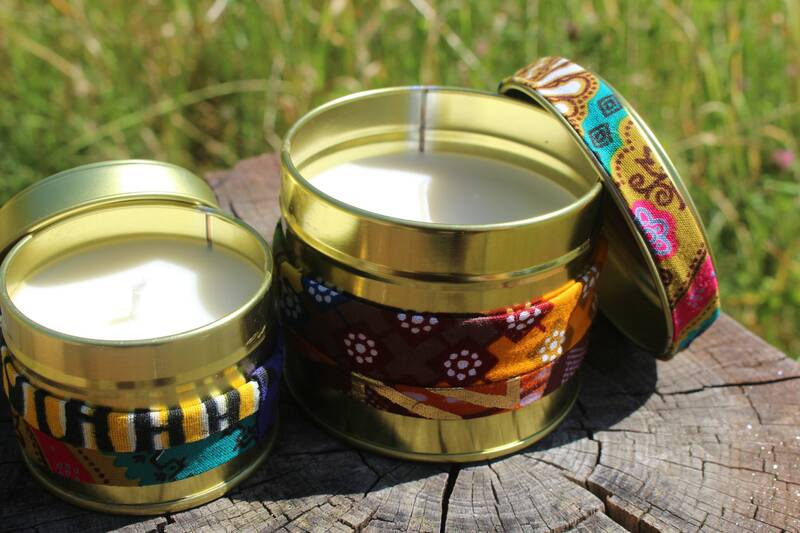 Scented 200ml Candle Decorated in Beautifully Vibrant African Wax Print with a 40 Hour burning time. 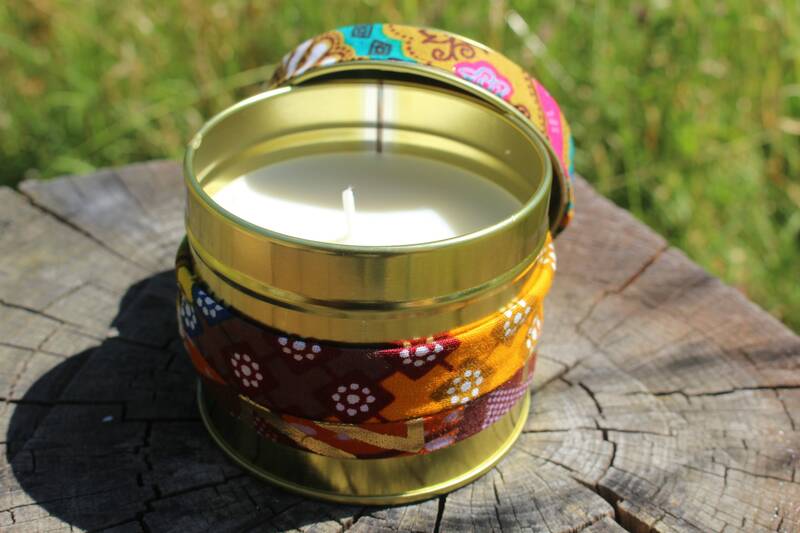 Our candles are made with eco friendly soy wax and fragranced with strong yet subtle scents. 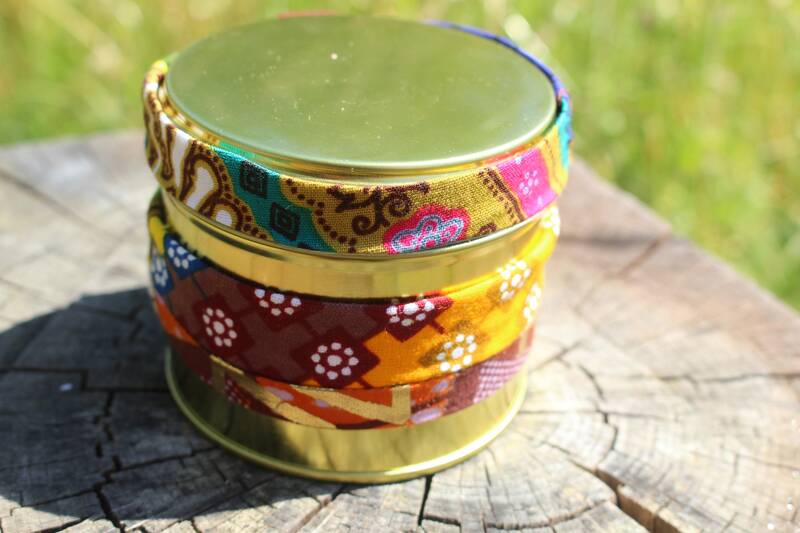 We currently offer two wonderful flavours - hints of eucalyptus and lavender - and - Bergamot. 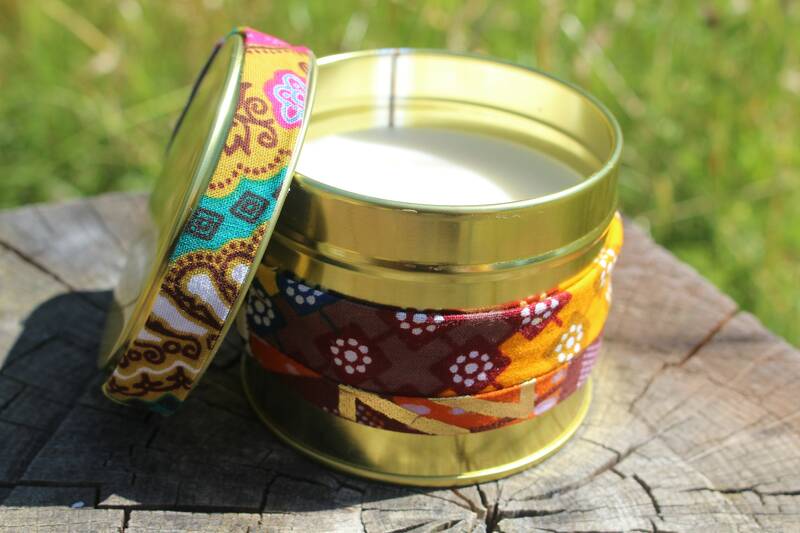 All our candles are handmade, hand poured, and hand decorated by me in my studio in Reading. The decorations are made with the offcuts of our clothing collections, so nothing is wasted.